169.9a. 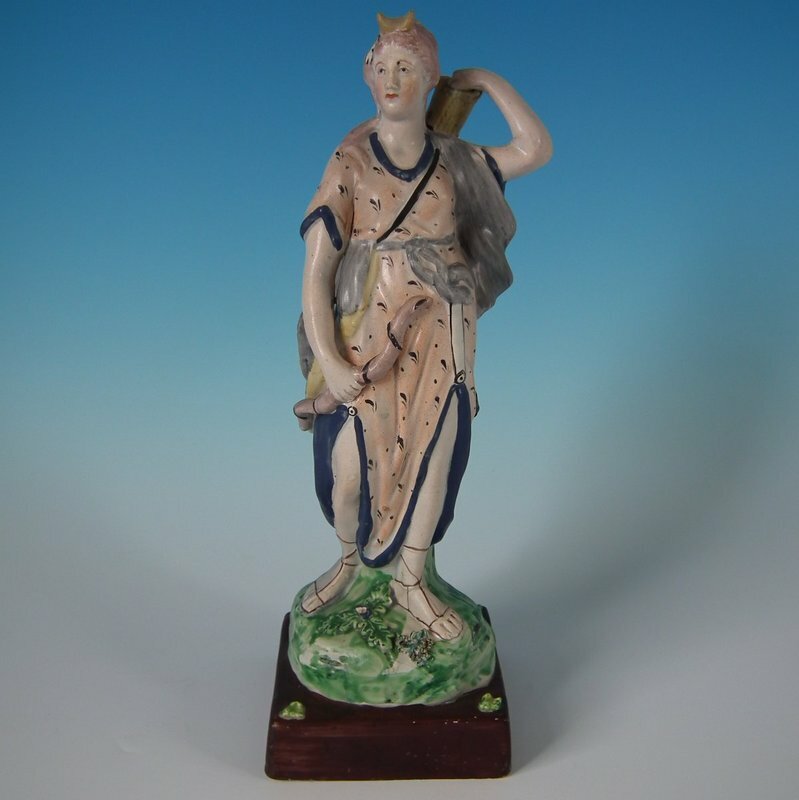 Similar to other Diana figures shown in volume 4 but with sprigs of green on the corners of the base. Made without bocage. Courtesy Madelena. 169.16. Unlike other enamel-decorated Diana figures, but from the same molds as the underglaze-painted example below. There is restoration to the face. Courtesy eBay seller libertyandvictoriauk.